PTZ cameras with RS485 connections can be challenging to setup for the novice user. 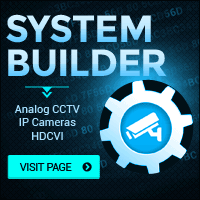 This video based guide will simplify the setup process when connecting a PTZ camera to our security camera recorders, either that be a DVR or NVR. All analog PTZ cameras and some network based PTZ cameras have a RS485 connection that sends serial data control from the DVR recorder or PTZ joystick controller to the camera. Not only is it important to setup key configuration parameters for the RS485 commands to work, the hardware physical connection setup is very important. If the cameras are connected improperly, then they will not be able to receive commands from the DVR. March 20, 2018 by Matthew Rossi. CCTV Camera World has simplified the configuration and setup for controlling HDCVI and IP PTZ cameras. Using a network PTZ joystick controller, you can control PTZ cameras by simply connecting the controller to a security video recorder with a single network cable. This provides hands-on control over your PTZ camera with a setup that takes only minutes to complete. September 13, 2017 by Matthew Rossi. PTZ cameras are an important tool in a security camera system that allows for easy surveillance using manual commands from a PTZ keyboard controller, security video recorder, or our computer based monitoring software. To automate surveillance, most of our Pan Tilt Zoom cameras allow the user to set memorized positions of interest that account for position in the XYZ axis and zoom level; these memorized positions are called Presets. You can call these Presets using a command corresponding to the number of the Preset. If you have multiple Presets, you can call them in sequence by creating a Pattern and let the PTZ run on that pattern indefinitely. May 11, 2017 by Matthew Rossi. April 5, 2016 by Matthew Rossi. March 11, 2016 by Matthew Rossi, tagged Video Balun Guide.